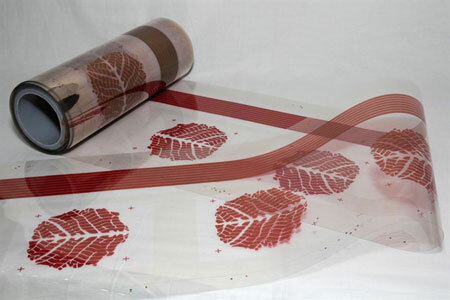 (Nanowerk News) VTT Technical Centre of Finland has developed and utilized a mass production method based on printing technologies allowing the manufacturing of decorative, organic solar panels. Design freedom improves the range of applications of the panels on the surfaces of interior and exterior building spaces. VTT is also studying the feasibility of printing technology in the mass production of solar panels made from inorganic perovskite materials. The new mass production method enables to create interior design elements from organic solar panels (OPV, organic photovoltaics) harvesting energy from interior lighting or sunlight for various small devices and sensors that gather information from the environment. The panels can, for example, be placed on windows and walls and on machines, devices and advertisement billboards. Until now, it has only been possible to pattern OPV panels into a form of stripes. The solar panel manufactured with VTT's gravure and screen printing technologies is only around 0.2 mm thick, and includes the electrodes and polymer layers where the light is collected. Furthermore, graphics can be printed to improve its visual appearance. 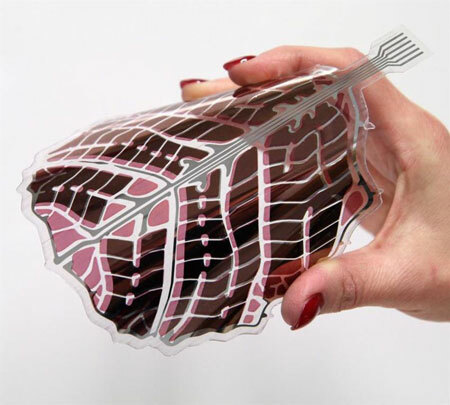 The research scientists have tested the feasibility of the method by printing leaf-shaped photovoltaic cells. Active surface of a one leaf is 0.0144 m2and includes connections and a decorative part. Two hundred OPV leaves make one square metre of active solar panel surface that generates 3.2 amperes of electricity with 10.4 watts of power at Mediterranean latitudes. Organic solar panels are flexible and light, but their efficiency is lower compared to conventional, rigid silicon-based solar panels. The solar panels are manufactured with printing machines based on conventional printing methods using the roll-to-roll method, which enables the rapid mass production of the products: the printing machine can produce up to 100 metres of layered film per minute. The manufacturing of the OPV cells is affordable; the material consumption is low, and after use, the OPV panels can be recycled.. Active surface of a leaf is 0.0144 m2 and includes connections and a decorative part. Graphics can be printed to improve the visual appearance.